Have a newborn baby that simply won’t sleep? I’ve been there and it’s the worst! While I can’t guarantee you that the tips I’m leaving here will work for you they certainly have helped me. Good luck! Being a mother of five, I am not always afforded the luxury of sleep. My kids have never been the best sleepers. I have a 10-year-old who requires no sleep, an 8-year-old who requires more sleep than most, a 6-year-old who gets up a few times a week asking if midnight is an OK time to be up for the day, a 3-year-old who wakes up in the night crying for who-knows-what, and a newborn. My husband and I are tired! Even though we struggle with sleep, I have learned a few things over the years. Bringing home a new baby from the hospital is the most exciting time in your life. Getting zero sleep with said baby is not so exciting. Being sleep deprived may not seem that bad at first, simply because you are running off of adrenaline, excitement, and help from family. Once the help leaves and real life sets in, the newborn sleeping schedule is so important to a mother’s sanity. When you leave the hospital, the nurse tells you to sleep when your baby sleeps. That advice sounds amazing! They never tell you how to adjust when you have an entire house-full of other kids who need to be here and there and need this and that. So, helping that precious new baby figure out what is day and what is night is super important. I had a friend recently come to me in need. I had just had baby #5 a couple months earlier, so we were both in somewhat similar situations as far as newborns and sleeping is concerned. She told me that she was up all night long with a crying baby who just could not figure out this day and night thing. He was sleeping all day and up all night, and she seemed desperate for some sleep. She also had complications from her delivery. Her body needed to rest and heal, and when your newborn is up all night that is simply not possible. So I shared some tips and tricks that have worked for us. Each time I have a newborn I learn something new. It took me a few guinea pig children to really figure out how to get a baby to figure out their nights and days. 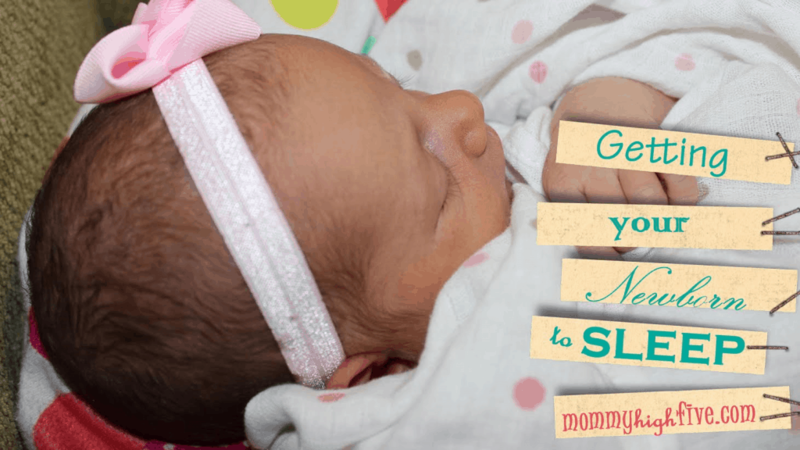 8 Practical Tips for Getting Your Newborn to Sleep So You Can Too! The longer between feedings during the day the better. Your baby fills up better as they eat more in one sitting. They get used to having more space between feedings, which means they can sleep for longer without wanting to eat. Starting at about 6 pm, do everything in your power to keep that baby awake. It is super annoying as a parent because they want to sleep and you want to snuggle them, but I’ve learned that if I can keep my babies awake for a good chunk of time, they are super tired when you finally put them to bed. It sounds so sad, but at least with my babies, if I give them time throughout the day where they are not being held and they can get used to being on their own a little bit, then at nighttime when you want to sleep, they are OK without being held. My babies sleep better when I put them to sleep awake. In other words, don’t feed them and let them fall asleep. Feed, burp, and let them have some awake time for a little bit before putting them down to bed. This will help them learn to fall asleep on their own and not rely on a bottle or feeding mama to go to sleep. Some of my babies liked to be swaddled; some babies hated to be swaddled. 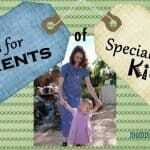 Trial and error will help you figure out what your little one likes. I even had one that liked to be in a baby carrier at times. If you’re wondering what you should use, here’s a list of my favorite baby swaddle blankets and wraps. Your baby’s naps need to be in her bed. It’s the best feeling to snuggle a sleeping newborn, but for a few naps during the day let your baby sleep in her own bed. It’s all about creating a routine. Doing this will allow her to get used to the surroundings and when she’s in her crib, she’ll know it’s time for sleep. When they get up in the night, try not to turn on a lot of lights, don’t make eye contact, and don’t talk to them. Cruel, I know! But this will let them know that this is not a time to play, it is time to sleep. Here is the daily routine that works at our house. Newborn baby #5 takes a morning nap in her bed (unless we are running errands), I feed her about every four hours, and she takes another short nap where I get to snuggle her. In the afternoon, she gets a nap in her own bed. Another short snuggle nap. Then, as soon as we are done eating dinner, it’s an all out event to keep her awake! She usually can’t make it for very long so I give her a little 15-minute nap, then wake her back up. Before bed, I feed her, change her diaper so she wakes up a little bit, swaddle her, give her a binky and lay her in bed about 9-9:30. Every time I put her down to sleep in her bed, I swaddle her and give her a binky so that she knows that we are gearing up to sleep. Now fast forward. Our baby #5 is now six months old. I have stuck to this routine like my life depended on it. She now sleeps like a champ. I can feed her in the morning. A few hours later I give her a binky, lay her in bed, and she will put herself to sleep for a couple hours. She gets up, eats again, is awake a few hours, and then goes right back to sleep on her own for a couple more hours. She goes to bed about 8:30 pm, wakes up once during the night, and is up at about 8 am for the day. She is the happiest baby! I truly believe that getting the right amount of sleep contributes to her being less fussy. I hope that maybe some of these ideas are helpful for you. Being sleep deprived is the WORST!! 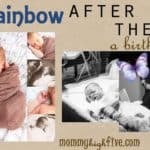 These worked with us for baby #4 and #5, but it’s important to realize that all babies are not created equal and you may not find these methods work for you. All the books and articles I’ve read say basically the same thing. It’s that whatever methods you decide to try, you have to stick with it for a few rough weeks. Until they get into a rigid strict routine it will be really hard. But if you are consistent and do the same things every day and just keep them super structured, they will learn when it’s time to sleep. Life is full of white water rapids; simply stay in the boat and hold on. Together, you and your baby will find something that works for you both. This mothering thing isn’t easy. But you can do hard things! Keep up the good work! Thinking about having a baby shower? Here are some shower gift ideas I suggest you ask for!